British bank Barclays is expecting a write down of more than £1 billion equal to $1.34 billion on annual after tax profit due to the U.S. tax reform, said the bank in Wednesday in a prepared statement. The reform to U.S. tax system was signed by President Donald Trump into law December 22 and will force the British bank to lower the value of the deferred tax assets it holds, prompting the bank to take a one-off write down in results for 12 months through the end of calendar year 2017. It also will lead to the common equity Tier 1 capital ratio of the bank, which is an important measure of the financial strength of a bank, falling over 20 basis points, said the lender on Wednesday. Since taking hold of the reins of Barclays during December of 2015, CEO Jes Staley has made the bank more streamline to become a transatlantic lender with a focus on Britain and the United States. The bank’s restructuring led it to leave several of its non-core operations like its business in certain areas of Asia and in Africa in an attempt to simplify structure and increase returns for shareholders. Barclays is already holding an attributable loss of more than £628 million for nine months through September 30 following write offs from exiting Africa. The charge of £1 billion to account for the tax changes in the U.S. will push the bank even deeper into the red. The tax overhaul of $1.5 trillion is the largest reform of the tax system of the U.S. since the 1980s and will have corporate tax rates cut from 35% to 21%. While the bank said the reduction of the tax rate will positively impact the future post tax earnings for the U.S., it cautioned that Base Erosion Anti-Abuse Tax, while it was in the new legislation and was designed to stop multinational companies from abusing the new tax code, could offset in a significant way the benefit of paying less corporate taxes. 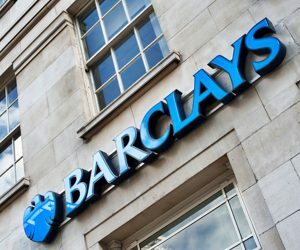 Because of the uncertain technical and practical application of many provisions in the new tax code, it is not possible currently to provide a reliable estimate whether or not BEAT would apply and if it were to apply, what would be its impact for Barclays, the lender said in a prepared statement.